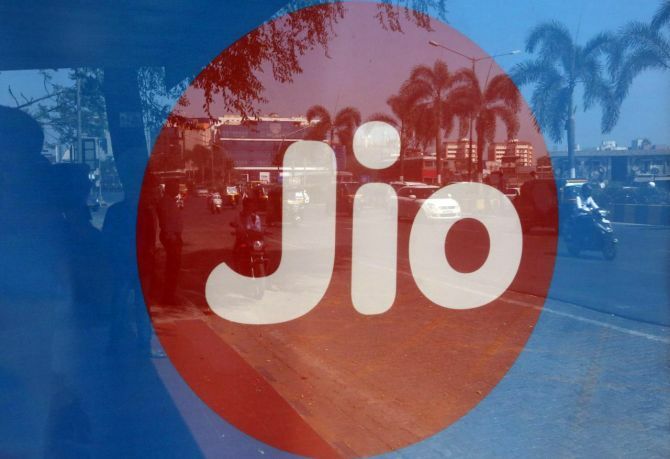 Reliance Jio will play a crucial role in ensuring that 5G devices are priced comparably to the current 4G devices to ensure that they are affordable to consumers. In an interview to Business Standard, Mathew Oommen, president and a director on the board of Reliance Jio said: “For 5G to be relevant in India the devices for 5G have to be priced reasonable and comparable to 4G devices. Over two years ago, Jio kick-started the data revolution by entering the assembling of 4G LTE devices and bringing smart phone prices down to Rs4000. This forced initially chary global and domestic mobile manufacturers to jump on the bandwagon. With the launch of 4G feature phones at below Rs1500 (effectively free as the money is returned after some time), the company has done the same thing, namely acted as a catalyst for expanding 4G penetration in the country. Chipsets - the heart of the phone - which come from companies like Qualcomm and Meditek constitute over half the cost of a mobile phone. Jio has also finalised a dual strategy to offer high speed broadband to Indian homes. It will be a combination of rolling out fibre to the home (FTTH) combined with 5G wireless broadband. “The potential is to reach over 265 million households in the country with broadband and we will initially aim for at least 50 million with a combination of FTTH and other wireless technologies like 5G wireless broadband as the eco system matures,” said Oommen. However, he believes that fibre to the home is the more effective way to achieve the company’s objectives. “Fibre is future proof. 5G millimeter wave broadband, due to its lower penetration, might not be always sustainable and not necessarily the best,” he said. Also, according to Oommen, by using disruptive technology, Jio will be able to bring down the cost of delivering fibre broadband which would be as competitive, if not lower than, 5G wireless broadband, based on current price trends. Oommen points out 5G wireless broadband will be used in pockets and areas where last mile connectivity is difficult, where right of way a serious challenge, and in remote areas where the only way to reach villages is through wireless (DTH in the initial period had focused on such areas where laying down cable is very difficult). While the commercial launch of 5G is expected to be launched some time in 2020, Jio is expected to undertake tests with Samsung in the first quarter of next year. Though the TRAI has given its recommendations on the base price of 5G spectrum and identified the relevant bands, the government has not cleared the roadmap for spectrum auctions. Outside India, though, many countries have not only had their auctions; they are readying for the commercial launch of their services. Oommen says that the recent acquisition of cable companies Hathway and Den Networks will give Jio access to the cable connected homes of these companies in 750 cities. “Subscribers will be offered an integrated box which will work both on fibre as well as cable, though the eventual aim is to upgrade the technology through fiberisation so that customers can be offered multiple rich media, security, and other communication solutions including fixed mobile convergence,” said Oommen. Is the buzz around 5G more noise than substance, given that India does not have an ecosystem for developing applications which require high speeds? 5G, which will offer speeds that are 100 times faster than 4G, will also have very low latency which allows remote robotic surgery or autonomous cars to become a reality. In response to the question, Oommen says that the same question was raised when Jio concentrated on increasing data usage as enough applications to use data were not available. “For wireless broadband services at home, 5G will take a few years, but we believe that there are enough applications, especially in healthcare, education and security etc., which will require huge bandwidth and which are fundamentally disrupting the user experience. "The ecosystem for 5G will be built once it is rolled out and becomes mainstream,” he said.